Established in 1941, Polyot is one of the largest aerospace enterprises in Russia, with facilities extending over more than 15 km2 and up to 20.000 employees. During the Second World War it manufactured 3.405 Tupolev Tu-2 bombers and Yakovlev Yak-7 and Yak-9 fighters in 2 1/2 years; post-war products included 758 Ilyushin IL-28 jet bombers and 58 Tupolev Tu-104 jet transports. It remains state-owned. The Antonov An-74 series of STOL Iransports is in low-rate production. Polyot manufactured SS-4, SS-7 and SS-11 strategic missiles, warheads, and first-stage engines for Zenith and Energiya rocket launch vehicles. Other products include many spacecraft and a variety of consumer goods under konversiya programmes. 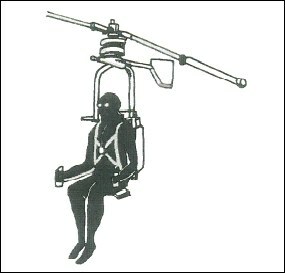 In May 2002, Polyot revealed its recent work on the Yula �strap-on� personal helicopter. Polyot announced on 22 May 2002 the successful test of this personal "assault and attack" helicopter, most details of which remain secret. Designed by Vyacheslav Kotel'nikov; telescopic fuselage and twin-blade main rotor; ramjet on each blade. Total weight: 20kg, max level speed: 120km/h, service ceiling 1000m, endurance 25 minutes. Cost /Price ; Interesting !!! the most remarkable inventions I have ever seen. Can it enter in autorotation? What engine does it have? Does it have ballistic parachute? Can you sell it to individuals? If so, which would be the price?